Natural stone pavers have an enormous decorative value. 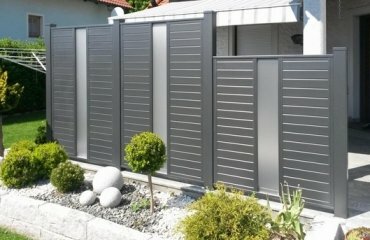 This product with a unique texture can transform any outdoor space. Today, the concepts of landscape architecture are widespread not only around public buildings and open areas but among owners of private houses. Often, designers, trying to emphasize the flawless taste of the owner of the house, combine several types of stone decorations in a single and harmonious exterior so there are unique compositions of granite and limestone, for example. What are the advantages of natural stone? What benefits does it have to offer and how to choose the type of stone for your exterior design? 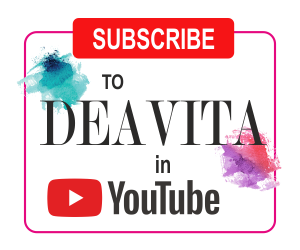 We shall give you a review of the most popular types of stone and will show you how you can use this unique material to create a fantastic home exterior. Natural stone pavers are wide flat stones, ideal for playgrounds, courtyards, paths and stairs. To pave a path or patio, stone slabs are put on sand, forming a stable surface with good drainage. Between the plates you can plant low growing plants, for example, moss or creeping thyme, to create a visually pleasing contrast and emphasize the natural look of the landscape. Natural stone comes in a variety of colors, structure and texture, size, shape, etc. The stone can be further processed and polished, for example. A good landscape design aims to re-create Nature and no other material is better for natural compositions in the open area. Let’s look at the most important pros and cons of natural stone. 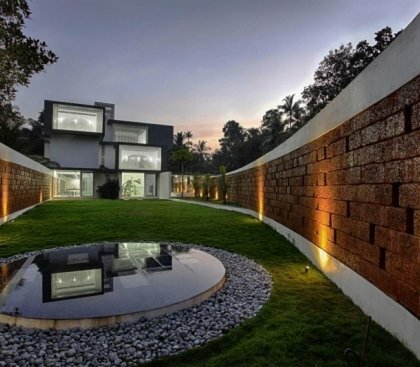 Durability and strength – when we talk about landscape projects durability and strength of materials are something that you need to keep in mind as they will be exposed to the elements and various weather conditions. 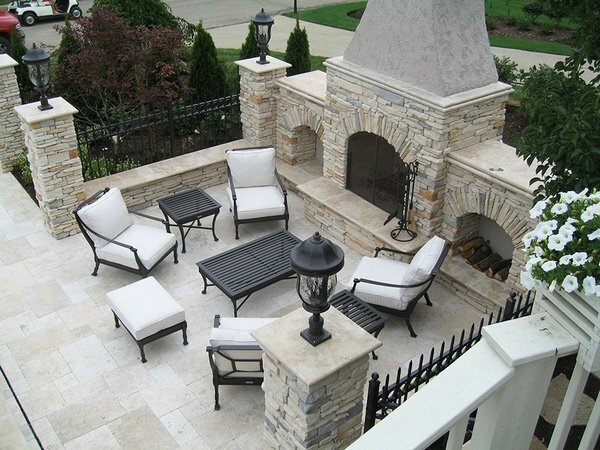 Durability is one of the greatest advantages of natural stone pavers. 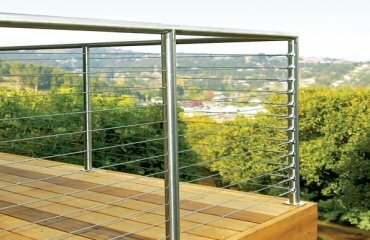 They can withstand heavy loads, heat, moisture, heavy foot traffic without losing their appearance. Natural stone pavement will not crack and some experts refer to this type of paving material as “almost indestructible” due to its natural properties. Versatility is another key advantage of natural stone as paving material. It can be used, practically, anywhere – around the pool, garden paths, backyard patio, stepping stones, sidewalks, driveways, or walkways, etc. Environmental friendliness – when choosing natural stone for your landscape, you know that this is not only environmentally-friendly but also a sustainable material. This is a serious advantage to all people who are concerned about Nature preservation and care about ecology and environment. Safety is a serious plus of pavers made of natural stone. When you plan the surrounding of your pool area, you’d want a slip resistant material, wouldn’t you? 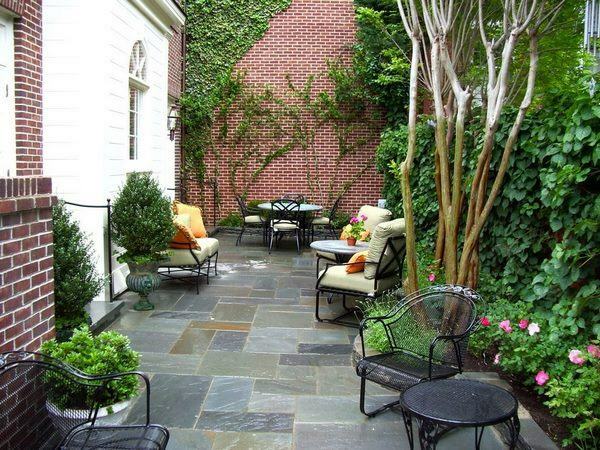 A slippery garden path or the patio area by the fireplace can be quite dangerous. 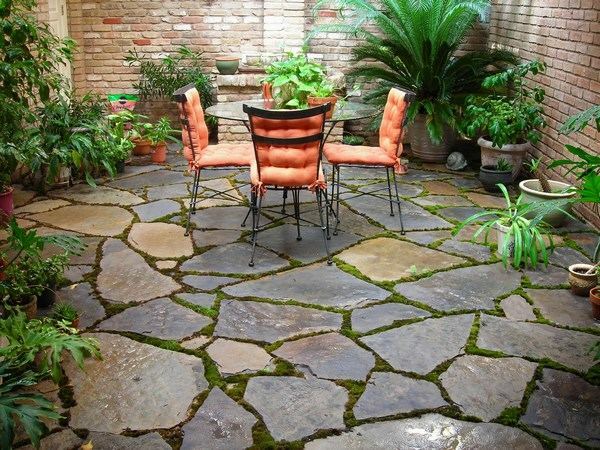 Well, with stone pavers you will have a piece of mind as they are safe to walk on when wet. Installation of natural stone pavers can be a great DIY landscape project as it does not require a great deal of skills, experience or expertise. The pavers can be laid directly on the soil or designed and arranged in a pattern on a sand level. Of course, you can always turn to a company if you want your pavers professionally installed in a specific or more complex pattern. Maintenance of natural stone pavers is relatively low. 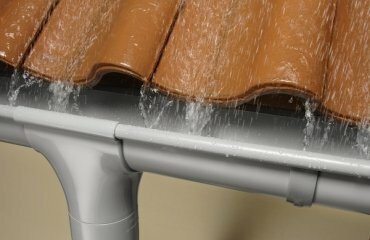 Once installed, they will require regular sweeping to prevent dirt build ups, occasional rinsing to prevent algae (in wet areas) or clean stains. In addition, if there is a damaged paver it can be easily replaced. Design opportunities and aesthetic appeal – without any doubt the overall appearance of natural stone can hardly be surpassed. Pavers can be used in many different styles so that they work harmoniously with the exterior design concept and add to the curb appeal and the landscape of your home. Homeowners have a big choice and each type of natural stone has its own color, texture, pattern, unique beauty and character. 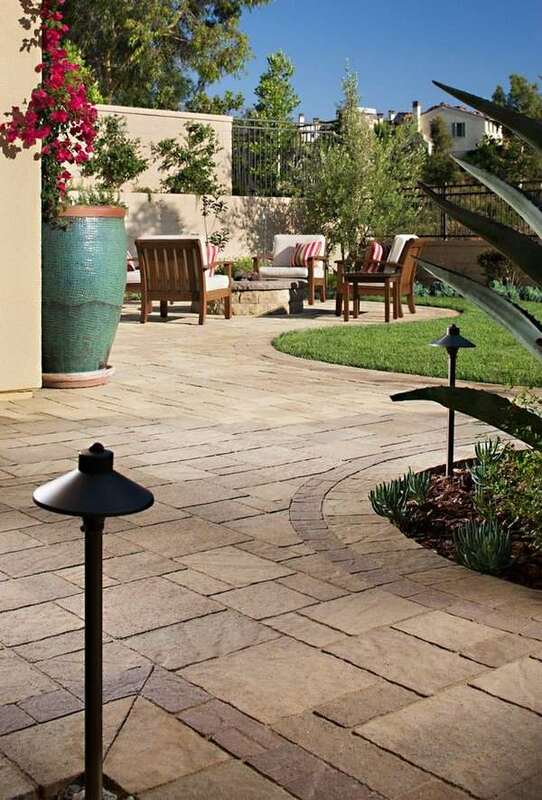 In addition, pavers come in different finishes – thermal, flamed, honed, and polished – so you can choose one or combine different finishes to add your personal touch to the design. Usually, pavers are manufactured in different shapes – diamond, circle, square, marquise, hexagonal, and half-course so you will have no problem to find the right one for your garden path, pool deck, outdoor kitchen, driveway or any other project. As far as texture is concerned, again, there are many options to choose from as per your own taste and preferences – from the natural appearance of stone slabs to the honed or polished uniformly sized paving stones. Added value to the property – a beautiful curb appeal and a great landscape design always add to the overall value of the property. Natural stone is one of the materials which has a significant effect on the way your home is valued, especially if you plan to sell it. The more visual appeal and high quality materials, the better and this means that your investment will pay off. As many advantages and benefits natural stone pavers have to offer, they do have some drawbacks that you need to keep in mind. One of the greatest cons of natural stone pavers is that they absorb liquids. Despite the fact that a stone surface appears solid, you need to remember that this is a porous material and moisture can get into the paver. This would lead to stains and in addition, moisture can freeze in winter which may lead to cracks which is not something that a homeowner would want. Sealing is an option to avoid any of these negative effects. One consideration that you need to keep in mind is that when the pavers are arranged directly on soil or sand, the surface needs to be flat. Since it happens extremely rarely, you may need to flatten the area prior installation which requires special tools. In such cases using a professional help is greatly recommended. 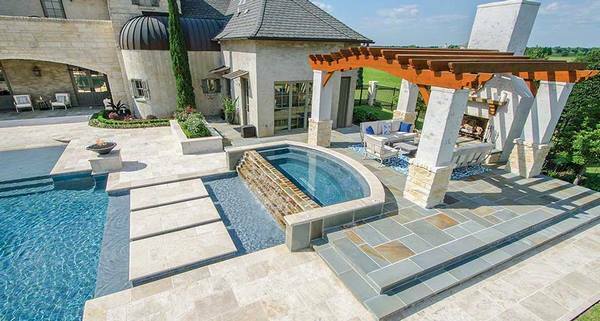 The unique beauty is a great advantage of natural stone pavers but it can be a disadvantage as well due to the fact that each piece will have its own unique color, size, shape and it is likely that different slabs or stone tiles may have differences in their appearance. 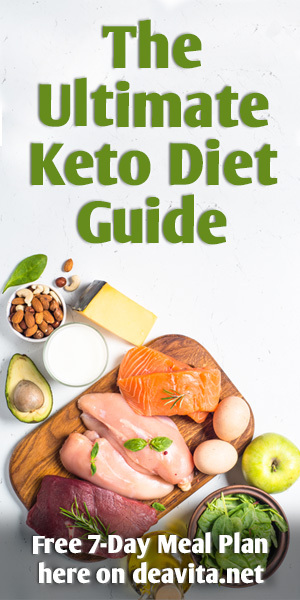 Experienced designers would know how to use these color variations but if you want a uniform look, you may consider some other material or search for the highest grade options on the market. Natural stone is susceptible to discoloration when in contact with acids. Juices or sauces spills may damage the look of your beautiful stone at the outdoor kitchen area, for example. Acidic cleaning products may have a negative effect as well and discolor the stone, so try to avoid them or use them with extra caution. Heat and cold are another important consideration. Natural stone gets hot under sun rays relatively quickly but just as quickly it can get very cold. The natural texture of stone offers a phenomenal visual appeal, but can be a real problem for walking barefoot. For areas like pool decks it is worth considering a smoother finish. Price is probably, one of the greatest drawbacks of natural stone pavers. True, they are expensive compared to alternative paving options. 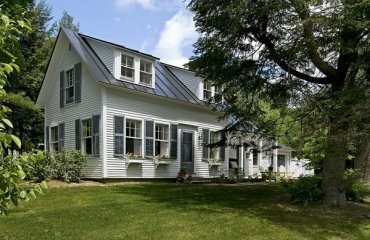 However, the high-end appearance and appeal make this investment worth considering. What type of natural stone pavers to choose for your landscape design? There are several types of natural stone pavers to choose from – granite, limestone, travertine, slate, marble, blue stone, etc. and each variety comes in its own unique color, texture and properties. Let’s have a look at the most popular natural stone paving options and their main characteristics. Limestone is the perfect choice when you want a distinctive appearance and a modern look. 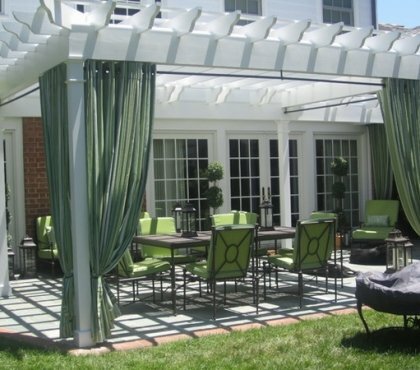 It offers a consistent color and a fine texture which gives an elegant velvety finish to the covered area. 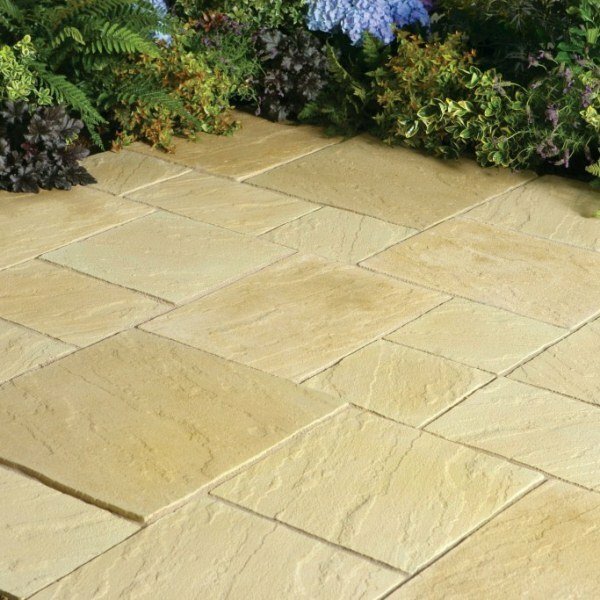 Due to fine grain structure, sandstone is relatively easy cut into almost any shape. However, it comes in a limited color variety and the easiest options to find are pale gray, dark gray, blue-gray, cream or tan. Be aware that limestone is susceptible to acid damages. 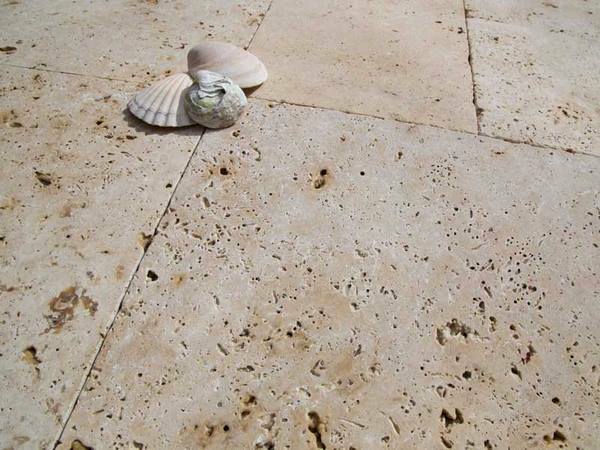 Travertine is ideal for traditional style designs. The natural holes in its surface look a bit coarse due to the natural pores but this adds a lot of texture and in addition, the surface is not slippery which makes it a great choice for pool deck areas. 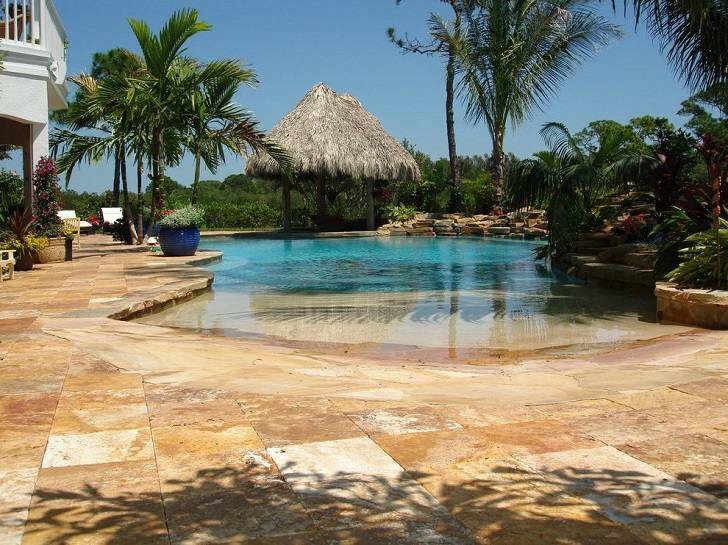 The neutral colors of travertine pavers will also work with rustic, Mediterranean, even modern style house exteriors. 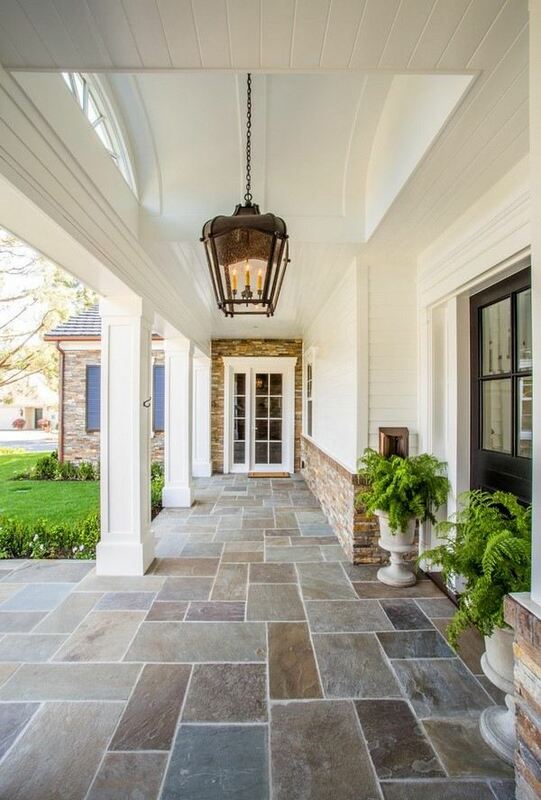 Sandstone is one of the top choices of homeowners for many reasons. On the first place it is widely available and comes in a huge variety of colors which makes it a versatile paving option as it can be blended into almost any style. It is not as hard as granite so it is cut easier, yet sandstone is hard enough to bear high foot traffic. 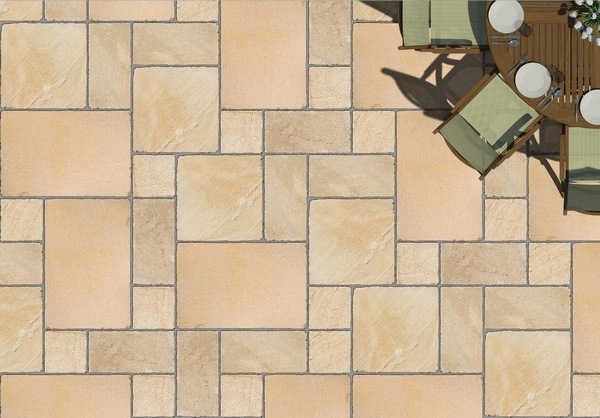 Sandstone is easily found in light gray, blue-gray, tan, soft creamy shades, and orange-brown. Compared to alternatives, sandstone comes at a more affordable price but its major drawback is that it is susceptible to water damage. 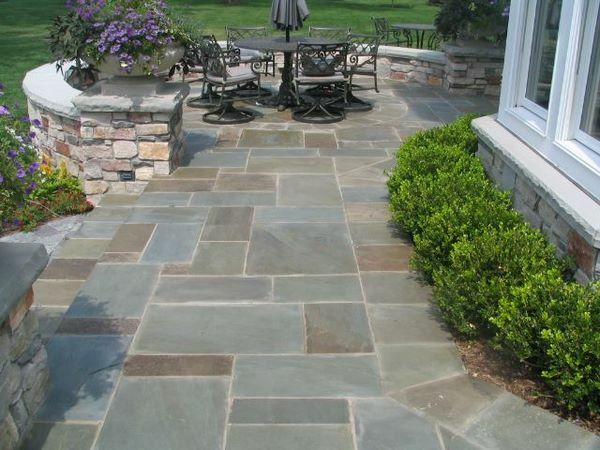 Bluestone pavers are another widely popular option for landscaping projects. Bluestone comes in many sizes and finishes and due to the neutral color and texture it is a good choice for contemporary styled exteriors. When used for walkways, the stone should have a thermal finishing which makes the surface rugged and prevents slipping. Slate paving stones are an immediate eye catcher and stand out with their remarkable texture and colors. Slate is very attractive and customers have a choice between fascinating blue-gray shades, light purple, dark red and brown shades and whichever option you choose, you will have a remarkable feature in your backyard or front yard. Slate is a relatively soft stone which is an advantage and a disadvantage at the same time. 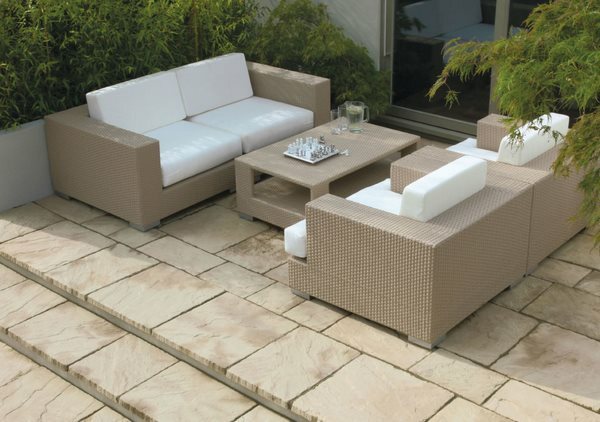 On one hand, it is easily cut and shaped, but on the other hand the softness of the material affects its durability and strength which are important criteria for outdoor paving stones. When choosing slate for your exterior paving, you need to know that experts recommend looking for slabs that are at least 2 inches thick. If you prefer thinner plates, you need to use mortar and install your slate tiles on a concrete base. The thicker the stone slabs the heavier foot traffic they will withstand without chipping. 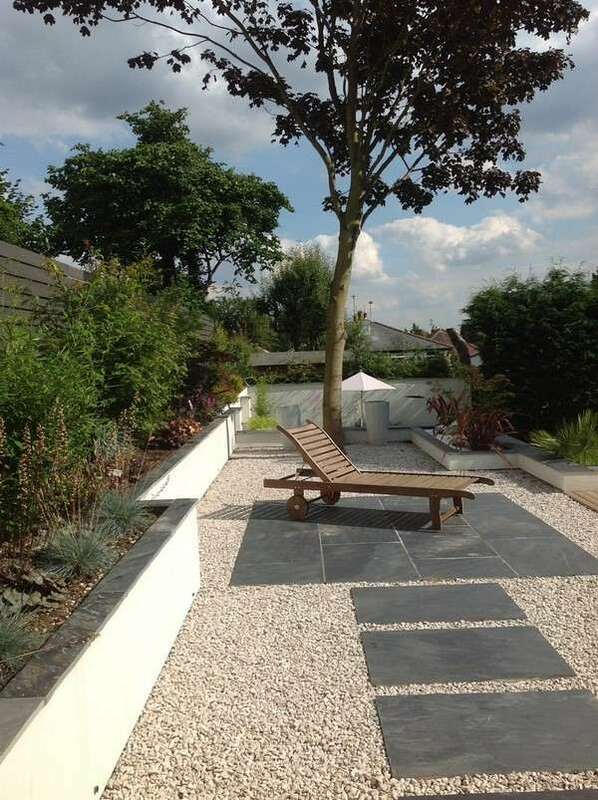 A drawback of slate paving stones is that their surface easily cracks, often flakes and chips so if you live in an area with heavy rainfall or freeze, it will be a good idea to think of a harder natural stone variety. Marble stone pavers are the choice of homeowners who would like to create an exceptional exterior with a sense of exclusivity. Marble comes in traditional white, but there are some exquisite variations like pink, green, blue, black, brown, blue-gray, etc., which are not widely available and that is why they are often used as high end materials. Marble can be cut in a variety of shapes with different sizes and used in stunning mosaic designs. However, the unique look of marble slabs can be a huge disadvantage as it is almost impossible to find two identical slabs. When you opt for marble paving, you need to make sure that you bought some extra quantity and keep it stored in case you need to replace a marble tile. On the downside of marble, as a material for outdoor paving, is the fact that it stains easily, chips and cracks, breaks and requires regular sealing, which means careful use and maintenance. When polished, marble is extremely slippery so it is better to avoid it around swimming pools or other wet areas. Granite is the hardest and most durable natural stone and a great choice as a paving material. The market offers different varieties of granite pavers – cubes, brick shapes with uniform size which allows many design opportunities. From all natural stone varieties, granite offers the widest color choices and you can find it in almost any shade – from light and dark gray, black or white, green, orange, pink, red, brown, yellow, gray-blue, etc. Compared to alternatives, granite is more expensive and is often used to create accents in the exterior. 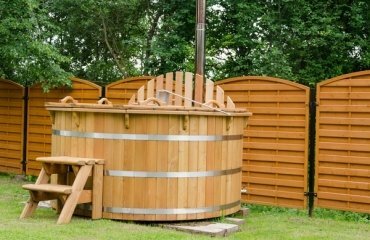 However, if you want to use it as a pool deck, patio paving or walkway, the visual appeal and high end appearance will make your investment worthwhile. Granite will not change its appearance for decades. It is not afraid of mechanical damage and will serve its owners for many years. Cobble stone is also an option, although technically this is not a variety of natural stone. The term is used to describe any rounded stone which can be used for exterior paving –it could be marble, limestone, granite, etc. As you see, there are many natural stone paving options to choose from and each type of stone has its advantages and disadvantages. Natural stone pavers differ in size, color, pattern, and finish which allows landscape designers create amazing exteriors. 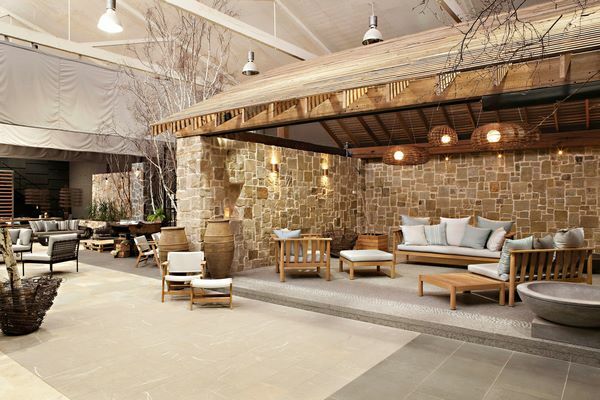 How to use natural stone pavers in landscape design? We selected some of the most impressive landscape designs which demonstrate the beauty of natural stone pavers. However, before we proceed with some ideas, we would like to focus your attention on some important questions that you need to consider before buying the stone for your front yard or backyard. One of the first questions you need to ask yourself is where the stone shall be laid – do you plan to use it as a pool deck, a garden path, porch flooring, etc. 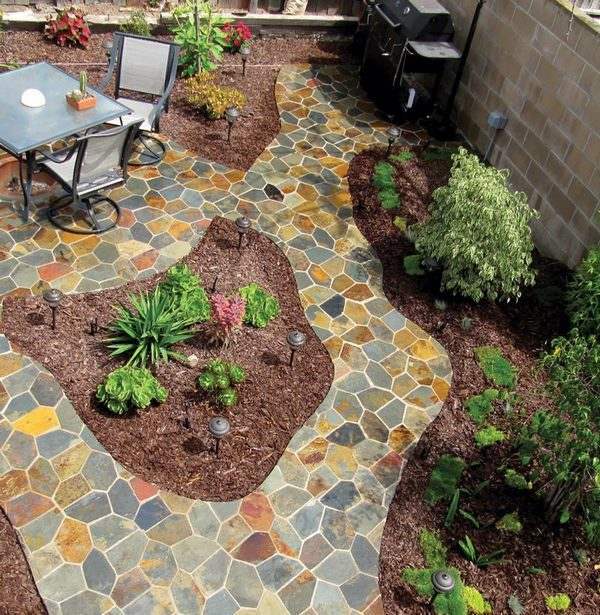 Try to figure out the foot traffic as you will need a more durable stone for walkways and paths. Slip resistance, resistance to moisture, salt and chemicals are essential for pool decks, so check out with the Seller if the stone you chose meets these criteria. In terms of visual aesthetics the natural stone that you selected for your exterior needs to complement the style of your house. Yes, natural stone is versatile, yet for a contemporary house architecture gray limestone or sleek bluestone will complement the straight lines, white sandstone will be a good decision for Mediterranean or traditional exteriors. Make sure that the color you selected works with the overall color scheme of your exterior. 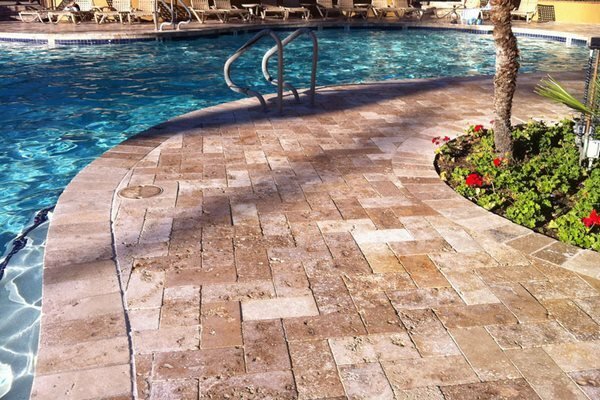 Consider the installation and maintenance of the natural stone pavers as some varieties require specific thickness, installation, possibly sealing, etc. The process of laying stone paving stones is very simple and does not take much time. Often, designers create fancy shapes and patterns, using stones of different sizes. 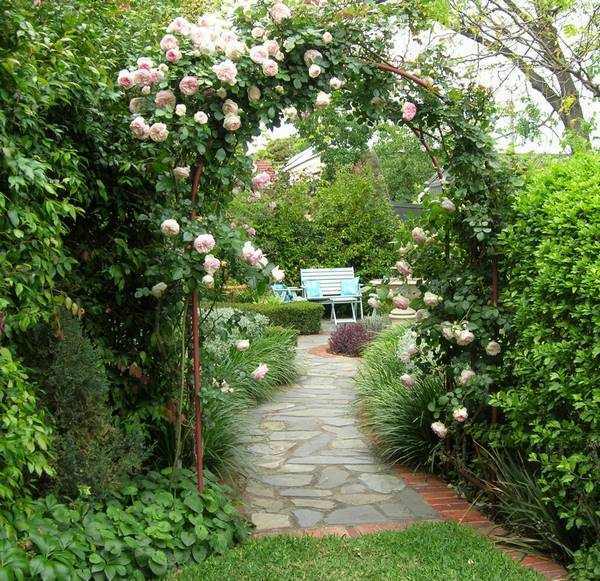 However, if you are not sure that you can manage a DIY stone garden path project, trust qualified professionals who have experience in installation of stone pavers, grouting, sealing, etc. Natural stone pavers can be arranged in many different ways, depending on the size and shape. 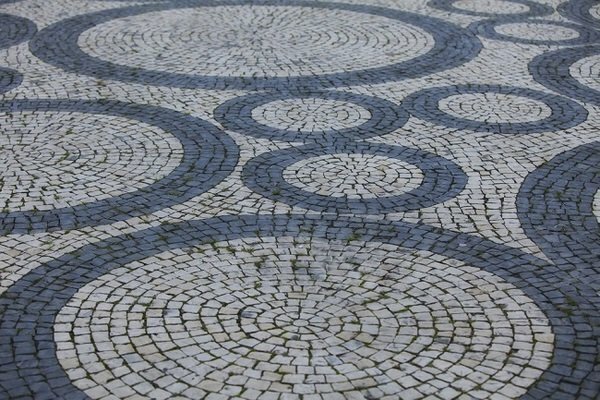 For example, if you use them as a material for your driveway, garden path or walkway, you can choose to lay them in a row, in a circle pattern, semi arch, wave, etc. The row is considered to be the simplest laying pattern – the stones are laid in staggered rows. Natural stone pavers arranged in a circle – this is very popular design because the classic form has a calming effect and creates an optical illusion which makes the space larger. This is also a very good way to emphasize a particular area in the garden. Many homeowners prefer to combine different laying patterns for a more dynamic look. 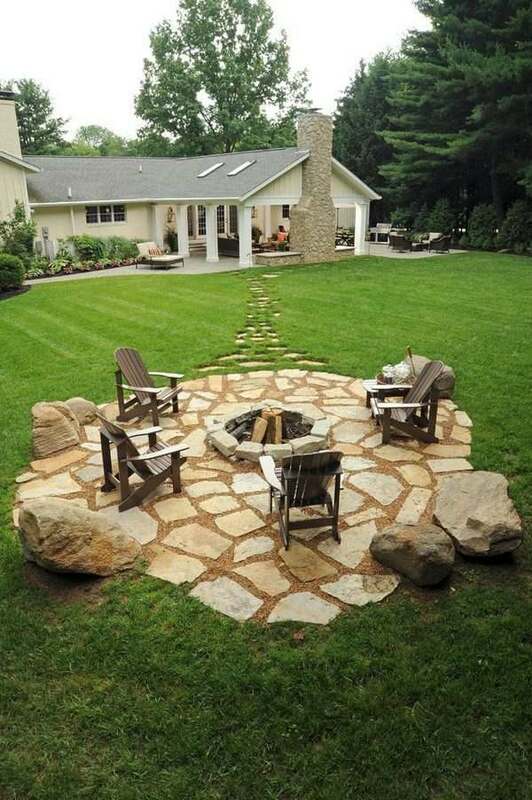 For example, you can use natural stone slabs for the patio paving and define the different zones, a circle for the area around the firepit, a decorative row of pavers around the dining area, etc. Combine natural stone pavers in different colors. 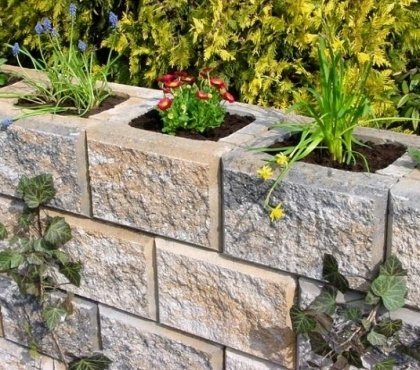 This creates beautiful patterns suitable for large, small, classic and even modern gardens. Use the darker color for the edge and lighter shades for the inner part to create a visual contrast, define borders and enhance the aesthetic appeal of the landscape element. In conclusion, we can say that landscape is an art which combines a variety of shapes, colors, sizes and different elements and unites them in one concept – to re-create Nature and every element has to work harmoniously with the others. Stones, as symbols of eternity, are inextricably bound up with the surrounding landscape and have a special place in it. 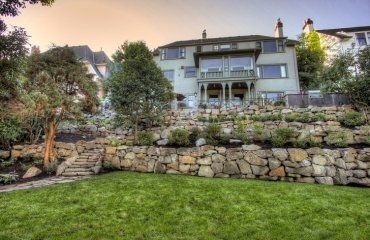 Whether you use them around a pond, a swimming pool, for the patio area or the outdoor kitchen or as a magnificent path, the natural beauty and elegance of stone will distinguish your exterior design and you will enjoy a unique landscape for many years. 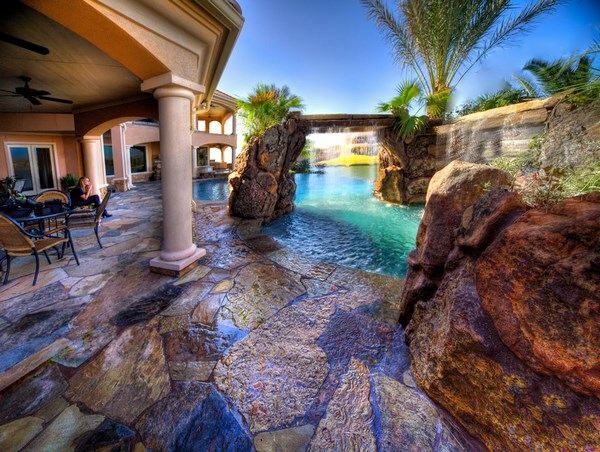 Enjoy the photos of amazing landscaping ideas with natural stone pavers in the gallery below! Septic tank cleaning and maintenance – how to clean a septic system?